Thailand is well known for many things, it is the spot that people go to when they want to go on vacation. There are plenty of sites to see and experiences to be had. It is also very common for people who are native to Thailand to get cosmetic work. The reason it is something that is so prevalent has to do with the careers of many Thailand natives. There are many models that work in this country, and if you get the right cosmetic work done you will stand a better chance at getting better jobs and more opportunities. India is another one of the top 10 countries for plastic surgery. There are two reasons people usually go with cosmetic work when they live in India, and both of them make sense. The first reason is that the price is so cheap there that almost anyone can afford to get work done if they feel the need to. The second reason is number of surgeons there are plentiful, so finding one to do work for you is easy. These surgeons are trained very well and can do all the procedures that you would expect to find in a top end surgeons office. China is a place where you can expect to see many people with cosmetic work. They are a group of people who strive to be beautiful and as you age the only way to do it is to get plastic surgery. They have a skilled group of surgeons who specialize in face work such as face lifts, nose jobs, and chin jobs. If you ever find yourself in China and want to get work done you can even get it done for a very cheap price. The best thing about getting work done in China is that they are trained to work on anyone under any condition. So If you feel like you need to get something done you can stop in and talk to a surgeon or their assistant to see if they can help. Japan is known for its actors and actresses, as well as its models. There is no wonder here why people in Japan are getting plastic surgery. When you have a job that requires you to look and speak well you may notice some flaws in your face or body that will affect your career. When the time comes the best thing you can do is see a plastic surgeon in Japan and get the work done, and that is exactly what people do. There are even people in Japan who take plastic surgery so far that they strive to look like real life Barbie dolls. It is really on a completely different level of plastic surgery in Japan. Brazil is an excellent place for plastic surgeons and people who want to get work done. The reason it is so lucrative in Brazil is because the plastic surgery industry does not have to pay taxes, so it is cheap for everyone involved. Because of the tax situation many people get professional training and go to Brazil to get their surgeries done. It also helps that Brazil is the home to many models and movie stars, so it would only make sense that it would be done more in this type of area. The main thing to remember here is that you should always look for a reputable surgeon. Columbia is very close to Brazil, so it is no wonder that the trade ended up moving to surrounding areas. There are many people who go to Columbia is they want to learn more about the study of plastic surgery and how it is done. Typically the surgeries done here have to do with the body instead of the face. They study things like liposuction, breast augmentations, and tummy tucks. You can expect the surgery industry to keep booming in this region. As time goes on there are going to be even more specialists flocking to this country. Taiwan is another very popular place to find plastic surgeons who can do great work. There is a high demand for plastic surgeries in this country so people had to learn the trade to meet up with demand. The only real concern with Taiwan is there are some really good surgeons, and others who are not even trained. You should do everything you can to make sure that the person who performs your surgery is a legit surgeon. If you feel uncomfortable ask to see their official paperwork saying that they are able to do plastic surgeries on people. It might seem obvious, but there is a lot of cosmetic surgery in the United Kingdom. There are many models and athletes who are from this part of the world and they use plastic surgery as a way to look and feel better about themselves. If they feel good they will have more confidence and be able to do more in their career. There are many different kinds of plastic surgeons in the United Kingdom so if you should ever find yourself in the area you will be able to find someone that will be able to help you with any surgeries that you want to have done. South Korea is one of the many countries in Asia, and it is also one of the plastic surgery capitals of the world. There are hundreds of thousands of people who have plastic surgery done every single year. The number of people who are getting work done is just growing as more time passes. They usually focus on procedures that are done on the face such as face lifts, eye lifts, and chin jobs. They are coming up with new inventive ways to do these surgeries are done so the prices are always fair, no matter where you are in South Korea. 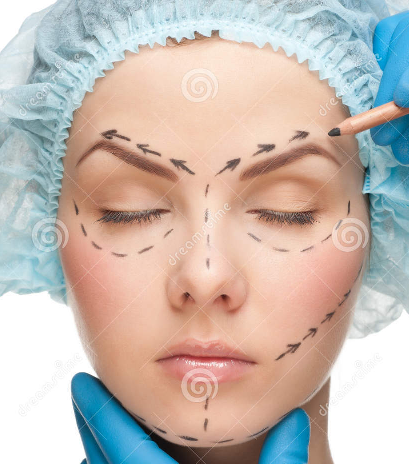 The United States has the most plastic surgery procedures worldwide. There are so many people that get work done due to music sensations, models, reality TV, and Hollywood movie stars. They have some of the best plastic surgeons in the western part of the country. They are able to do any kind of surgeries and can easily help you figure out a plan that is best for you. The prices are a little bit more expensive than you would see anywhere else in the world but at the end of the day you are paying for the quality. If you are looking to get some work done the United States is a great start.